I send you a new textile 's pictures attached. I am looking for informations about the exact group or subgroup. I suppose it is from the hill tribes of south Laos/Vietnam. If you have some better informations? As you can see on the detail, there are some very small tin beads in the weaving. Susan Stem immediately came back on the forum to say: "Olivier has a very nice loincloth, probably Katu (or Co-tu, as the Vietnamese call the group). I am seeing some of these here, as well as very similar ones from the Attapeu province in S. Laos. The ones from Vietnam seem to use lead beads, whereas the ones from Laos have white glass seed beads woven in. They both utilize an almost jersey-like knit on the area with horizontal stripes, which in addition to the beads gives the ends weight. 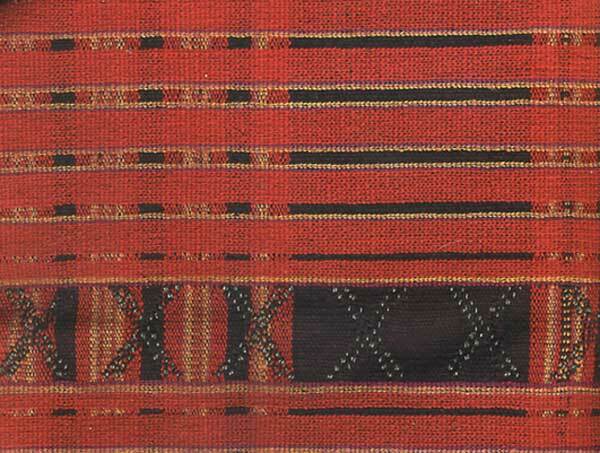 I don't see this weaving technique in use in any other textiles from this region. 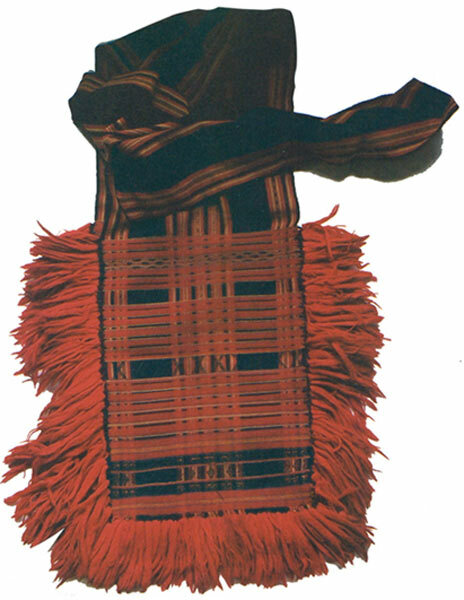 Dr. Howard has a nice example and lots more information on the Katuic peoples in his Textiles of the Central Highlands of Vietnam, p.177, #77. He says that the majority of them live "in the upland areas surrounding the Bung and Cai Rivers in four communes in Phu Loc District in Thua Thien-Hue Province and in Hien and Giang Districts in northwestern Quang Nam Province. There are approximately 17,000 in Saravane and Sekong Provinces in Laos." He also says that "there are few cultural differences between the Ta-oi and Katu." I add this because the Ta-oi also weave beads into their textiles, tho I see black plainweave backgrounds used rather than indigo, as well as other differences. It would be interesting to do some comparative study on a variety of these loincloths."